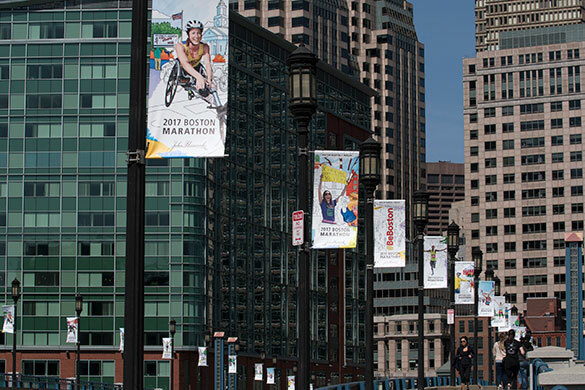 The marathon banner campaign by John Hancock–principal sponsor of the Boston Marathon–serves not only as the first public face of the storied race, but also as guide to over 200 subsequent design projects. The 2017 campaign brought an airy openness. Photographic "hero shots" representing the current era played off of illustrated race landmarks. The coloring book style alluded to the fact that the marathon's history is constantly filling in, and that not only the runners, but all of Boston, are part of it.